By focusing on total body alignment, Rolfing moves beyond symptom-based pain relief to create sustainable change and ease in the body. Acute and chronic pain is often a symptom of larger structural patterns and compensations located elsewhere in the body. This is why even after stretching, massaging, or resting the painful area the pain returns. By working to align the entire body, Rolfing relieves pain by addressing the source of the pain. When nerves become inflamed the swelling shortens their range of motion. Mobility is further limited when nerves become tethered in nearby tissues. 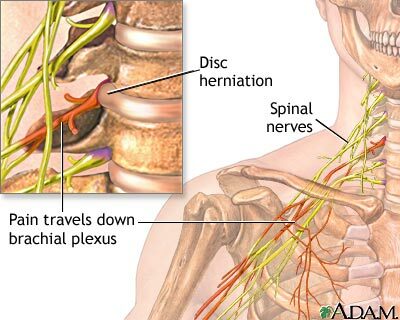 A chronically pinched nerve can send pain responses beyond the source of the pain in the body. Rolfing reduces both nerve pain and inflammation by opening the tissues inhibiting the pathway of the pinched nerve while restoring glide and mobility to the nerve. Repetitive daily activities such as sitting at your desk, using a computer, and carrying your children can have negative effects on your body's alignment, or posture. Rolfing works to correct posture by lengthening the tissue in your body. Tight tissues and muscles are responsible for locking your body into a slouch you just can't seem to break. Different than massage, Rolfing utilizes a series of sessions to work through the entire body to support proper alignment from your toes to the top of your head. Stress produces toxic hormones and detrimental movement patterns that become lodged in the body's tissues. Rolfing helps you recognize negative patterns in the body while creating new possibilities for comfort and ease. Total body alignment is an excellent way to enhance your performance. Carrying your children, competition athletics, dance, yoga, skiing, and playing the guitar all require the use of your body and are easier, more efficient and enjoyable when your body is balanced and working well. Rolfing complements a range of activities by increasing range of motion, expanding body awareness, and improving coordination. Rolfing creates an aligned body which helps you to conserve energy to perform efficiently and most importantly comfortably in all aspects of your life! Dr Rolf said, "Rolfing children at an early age fosters an understanding of the body which connects children to their inner grace and confidence. Children develop a greater sense of self the more they are empowered to know their bodies, its strengths and limitations. Structural imbalance in early life can be the basis for adult complaints as chronic backache, neck pain, and other manifestations of physical and emotional stress. Rolfing Structural Integration is a process of soft tissue manipulation designed to balance your body by releasing tension and strain. 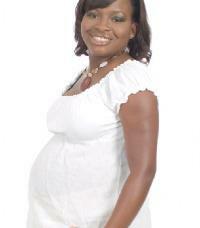 Enjoy a flexible and balanced body ready to adapt to the physical, mental, and emotional challenges of pregnancy. For 9 months you and your baby's bodies are growing and changing in new ways every day. 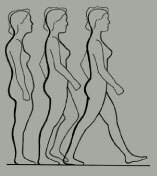 Rolfing Structural Integration work supports your body through this process of continual change. Rolfing opens the ribs and hips to relieve swelling and ease low back pressure. Rolfing aligns the pelvis which creates more space in the birth canal supporting an easier labor for both mom and baby. During pregnancy and birth, muscles and bones move to new places taking on new shapes in response to your baby's growth and your experience of labor. Rolfing helps the body to reorganize, improving structural balance immediately. Rolfing coaches the stomach muscles back to center and re-aligns the pelvis restoring a leaner shape to the abdomen. 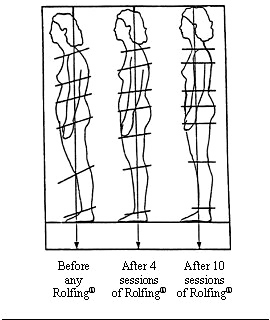 Rolfing accelerates the process of "getting your body back" by improving your posture alignment and flexibility. This work brings comfort and awareness to your body so you can enjoy taking care of your baby and yourself.